More on the AVTEQ Executive Series Multimedia Cart for 37-55 inch Screens RPS-800S below. 9 RU of standard 19" rack rails. 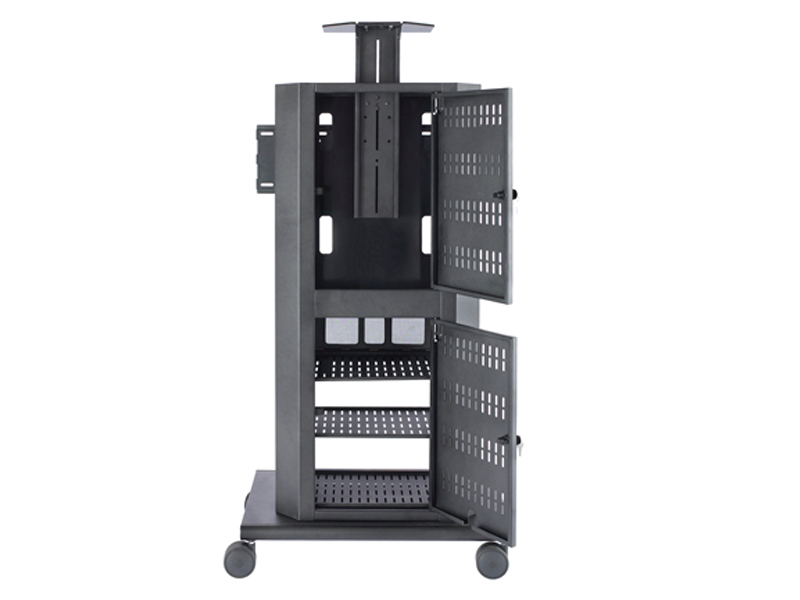 Hinged, lockable rear panels for easy access to stored electronics. Integrated universal screen mounting system, designed to accommodate almost any modern flat panel screen. One tinted, tempered, locking safety glass door. Adjustable handles for ease of movement. 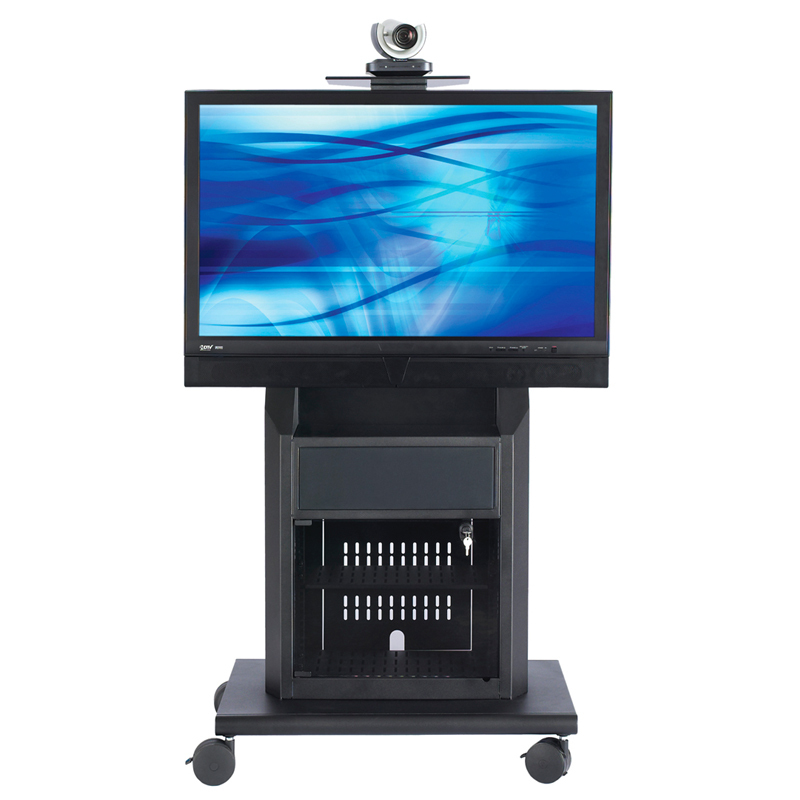 One integrated, adjustable video-conferencing camera platform. One 6-port APC® surge protector / power module. 100% solid steel construction with a durable, black powdercoat finish. One 37-55" flat panel LCD, DLP or plasma screen. PLEASE NOTE: Please enter the make and model number of your flat panel screens in the "Customer Notes" section of the check-out process. If you do not have this specific information, please enter any available information (i.e. the manufacturer and screen size) or call our Sales Team for help. This will ensure that you receive appropriate installation hardware for your flat panel screens.